I estimate I’ve been shaving for over 2 decades now. When I started growing facial hair in high school, my father handed me a Gillette Sensor Excel razor which was a free sample that arrived one day in the mail. If you think about it, that is a pretty ingenious marketing strategy if assuming I shaved every other day, replacing the cartridge once a month at $2 each, I would have spent $480 just on the razor cartridges alone over the years. A Gillette insider once reported that a cartridge containing almost a half dozen blades with a fancy lubricating strip that retails for $4 each costs less than 10 cents to manufacture. That comes out to a markup of 4,750 percent. No wonder Proctor and Gamble paid $57 billion for Gillette. It was when I was in the store one day a few years ago looking to pick up another pack of razor cartridge refills when I started thinking there has to be a cheaper solution. Not only was I tired of the high prices of a pack of replacement cartridges, I was also tired of the razor burn I was getting trying to get a closer shave with the two blade Sensor cartridges while trying to maximize the number of uses. The electric shaver was immediately ruled out. There was a higher upfront cost of purchasing the shaver and I did not want to bother with the inconvenience of chargers, battery replacements, oiling, or power cords. The electric shaver heads also have to be cleaned and replaced regularly, so scraping my face free of unwanted hair with a sliver of super sharp steel it was. 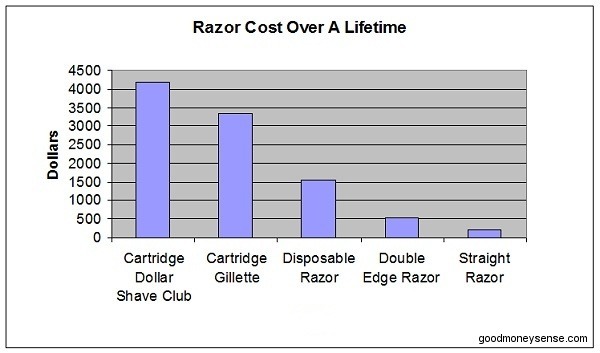 While individual results may vary, the graph below shows the costs for the razors only, with the numbers calculated for someone who shaves once a day for 60 years. We will be using the number of shaves a razor gets from the reviews at Razorpedia and will ignore any shipping costs for ease of comparison. At the local Kroger grocery store, I’ve found store brand single blade razors for as little as $0.17 each, to $0.71 for a Gillette Sensor 2, and up to $1.25 for a BIC Comfort 3 Advance. As one can figure out from the name, users of disposable razors will be throwing out a lot of plastic into the landfill over the years. 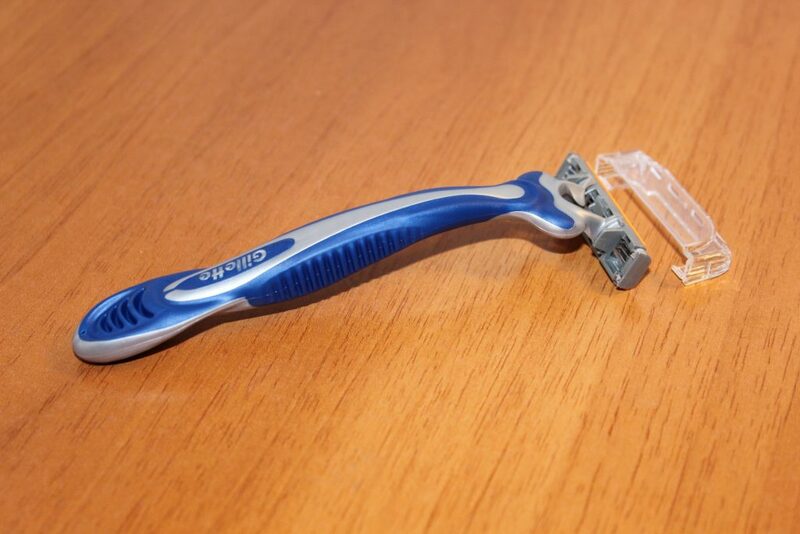 The Gillette Fusion is a five blade razor that was released in 2006 and is the most recent product line from Gillette. The Fusion blade refills currently costs $33.98 for 12 replacement cartridges or $2.83 each at Amazon.com. You will also need to buy the handle, which is $7.97. While Gillette claims that the Fusion blades last 5 weeks, reviews show the cartridges last about 19 shaves on average. Dollar Shave Club is a membership service launched in March 2012 with a Youtube video that went viral. They signed up over 2 million members before being acquired in 2016 by Unilever for $1 billion. Dollar Shave Club offers three membership plans that deliver razor blades monthly. Subscribers can choose between the 2 blade “Humble Twin” for $4/month, the 4 blade “4x” for $7/month, and the 6 blade “Executive” for $9/month. If choosing The Executive, it will come with 4 refill cartridges each month or $2.25 a cartridge, which are estimated to last 12 shaves each. For those who did not know, Dollar Shave Club does not manufacture their own razors and cartridges. DSC’s “The Executive” is the Pace 6 Plus made by Dorco and can be purchased at DorcoUSA.com. The handle costs $6.50 and a 24 pack of cartridges are $57.90 or $2.41 each on their site. It used to be cheaper to buy direct from Dorco, but in recent months they have increased their cartridge prices by over 50%. It now makes more sense financially to join DSC and pause your deliveries when you have a stash of cartridges. The classic safety razor is probably a razor your father or grandfather is very familiar with. Patented in 1904 by King Gillette, the safety razor got rid of re-honing and the need to strop a straight razor before each shave. Instead a thin disposable blade is held in place on a rectangular head at the right angle to your skin to prevent any serious accidental cuts. A basic safety razor handle such as the Merkur 23C that is made in Germany costs $38 on Amazon. That is a bit more than the plastic handles of today’s cartridge razors, but you get a hefty chunk of machined steel that should last forever. Prices for the blades on Amazon range from $8.65 for 100 Derby brand blades to $25 for 100 Feather blades. The most popular blades with over 4100 reviews are the Personna double-edge blades, which I’m going to use for my calculations, cost $12.26 for 100. The average number of shaves for each blade are about 5, but since they are so cheap some people are even using them only once before discarding them. These are the razors you usually see in Westerns with a rugged cowboy sitting in a chair with their face covered in shaving cream getting a shave by the barber after a long day driving cattle. A good straight razor that is properly cared for can last for generations. From reading online reviews, many people say the shave from a straight razor is the smoothest and the longest lasting of all. A good straight razor can cost from $50 to over $200. This is a lot of money up front, but this will very likely be the last razor you will ever buy. A straight razor needs to be re-honed a few times a year and stropped before each shave with a piece of leather to ensure the edge is razor sharp. 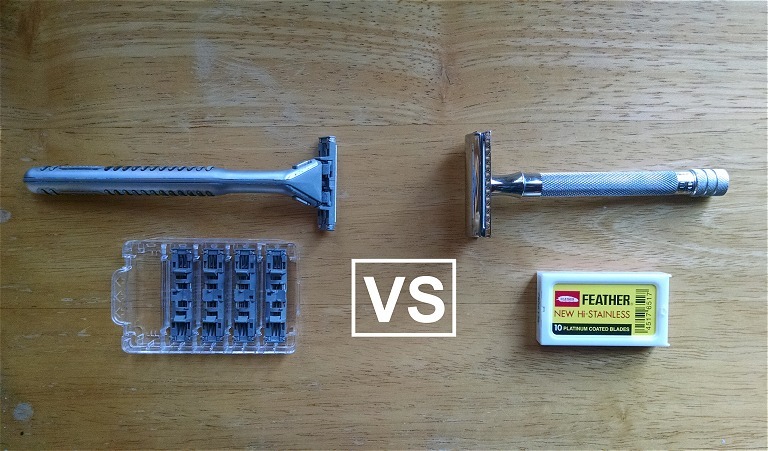 As a someone who was looking to save on razor costs, which razor did I end up choosing? I went with the double-edge safety razor. The straight razor would have required learning how to shave all over again. Plus I didn’t want to sneeze and accidentally cut my nose off. 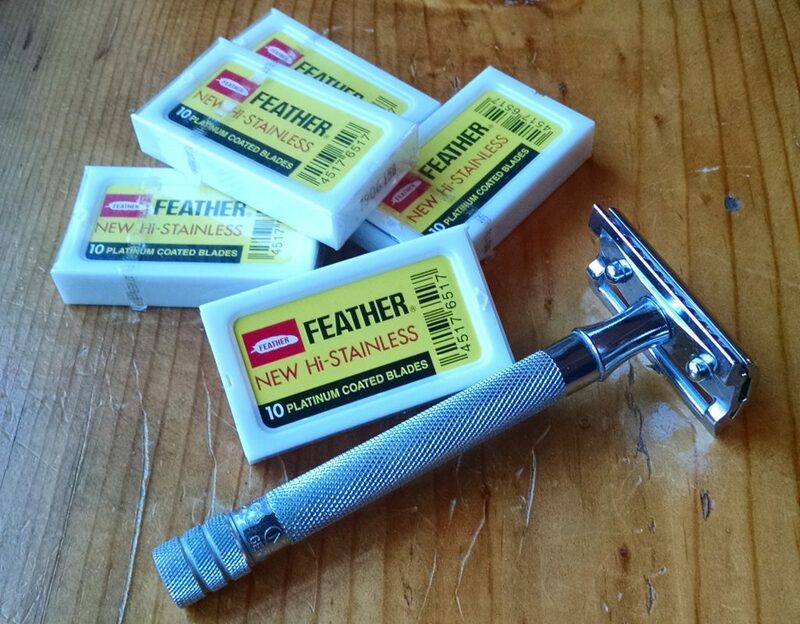 Going from a cartridge razor to a safety razor took only some minor adjustments. The weight of the razor does all the work, so no extra pressure is needed. Instead of the long strokes one is used to using with the cartridge razors, you take shorter strokes with the safety razor at a 30 to 45 degree angle. With the safety razor, you no longer need to worry about hair and shaving cream clogging up between the blades, getting bacteria into your pores and causing bumps, irritation, and other skin conditions. All those extra blades on the cartridge head can also lead to ingrown hairs because the first blade will pull up on the hair slightly for the second one to cut it, leaving the hair to retract back beneath the skin afterwards. Since switching to the Merkur 23C safety razor with Feather brand blades, I haven’t had razor burn since, even when shaving every day. As one can see from the above graph, someone who is using disposable and cartridge razors are paying many times more than the older ways of shaving. You might be wondering why someone would keep on using the new razor systems if the mono-blade safety razor is so great. This is because the razor companies have brainwashed consumers into believing that the newer razors are better and more convenient. Their marketing departments have convinced people that they need to have more blades, lubricating strips, pivoting heads, and battery-powered vibrating gizmos to get a better shave when one blade would have worked perfectly fine. 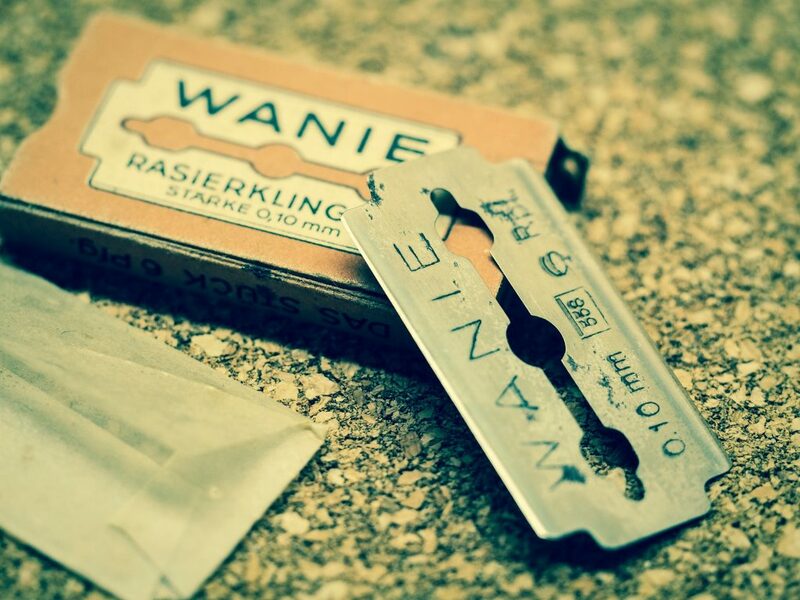 If the double-edged safety razor was so superior, then why was the cartridge razor invented? Money, of course. 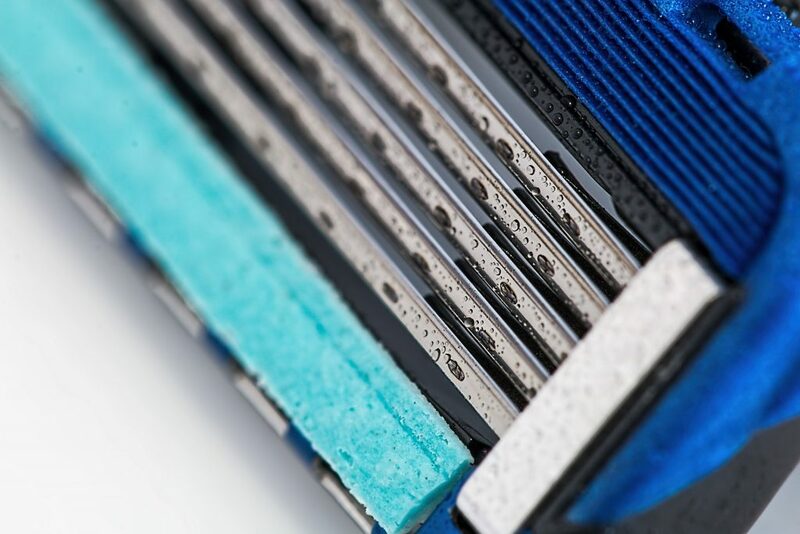 As patents for classic safety razors started to expire, razor companies needed to come up with new ideas to patent to protect their lucrative shaving business. This have resulted in thousands of dollars that would have remained in your pocket but are ending up in theirs instead. Dry your razor after each use. Don’t leave it sitting in a pool of water in your shower. Water causes the blades to rust, dulling the edges faster. Some people advocate storing the head of the razor in a cup of alcohol or oil after use. For the best shave with a double-edge razor, do 3 passes – one with the grain, one across the grain, and finally one against the grain. Try shaving soap, bar soap, or conditioner instead of shaving cream. The TSA does not allow flyers to bring double-edge razor blades in their carry-on luggage and definitely not a straight razor, so consider keeping a cheap disposable for traveling or purchase blades at your destination. For the ladies, the double-edge razors will shave just as well, but should you decide to stick with cartridge razors, the Gillette Venus cartridges are interchangeable with the men’s Mach3 cartridges. The Mach3 refills cost $24.99 on Amazon for 15, whereas the Venus refills are 20.49 for 8. Don’t pay 54% extra aka the “pink tax” for fancy colored plastic. What do you use to shave? 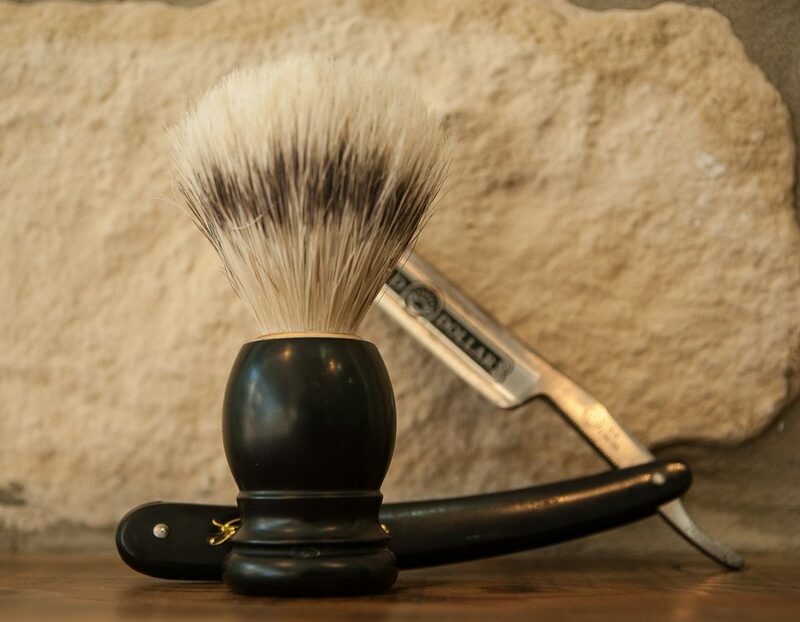 Have you found anything that is more affordable or efficient for your shaving needs?